It’s Time D-Heads! 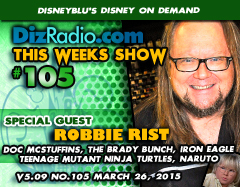 This week we travel back to your childhood as we welcome ROBBIE RIST (The Brady Bunch, Doc McStuffins, Teenage Mutant Ninja Turtles, Iron Eagle, Naruto, Mary Tyler Moore Show) to the show! Robbie stops in and talks about being Cousin Oliver on The Brady Bunch, what happened to Tiger, being one of the Teenage Mutant Ninja Turtle, Music, Voice Work and currently being Stuffy on Doc McStuffins and more! In addition we welcome back the D-Team as Erin dips his hand into the virtual mailbag in I Want To Know and our Caitlin brings you the latest from the Walt Disney World Resort in WDW-In-2. 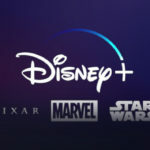 Nathan is back with a look back in This Week In Disney History and Randy returns from his hiatus with Disney Multi-Media. 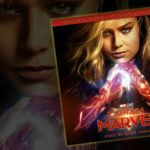 We have news hot off the D-Wire with news on Walt Disney World, Disney Cruise Lines, Marvel, Girl Meets World, Disney Channel, Laugh O Gram, the Walt Disney Company and so much more!